Service Locations: Dr. Rebecca provides chiropractic services in five convenient locations. Edina is the primary location of Perpetual Motion Animal Chiropractic with satellite locations in Maple Grove, Minneapolis, Mound, and New Hope. 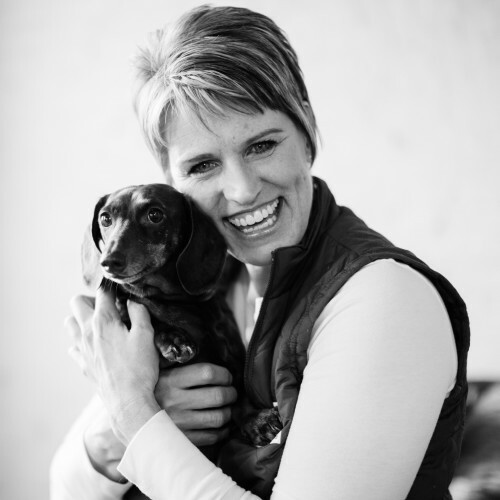 Full Description: Dr. Rebecca Amstutz established Perpetual Motion Animal Chiropractic and has been treating Twin Cities’ pets since 2010. Serving pets is the primary focus of her practice. She started this business out of love and passion for animals and chiropractic, and the recognition for the unique and special bond between people and their pets. She enjoys seeing the profound effects chiropractic has had on the animals and the significance of what those results mean to their pet parents. She’ll never forget the first call she received for animal chiropractic care. At the end of the conversation before she had even seen the patient, the pet parent stated, “You give me hope”. Later on that same pet parent stated, “I believe that chiropractic care saved my dog!” (Vicki N. Faribault MN). The emphasis at Perpetual Motion Animal Chiropractic is to provide a natural method of overall health and healing for pets. Newborn to senior, small to large, park walker to competitive athlete – Dr. Rebecca‘s goal is that each pet enjoys a comfortable, healthy and active life. Dr. Rebecca will help them achieve their highest level of health and longevity. Dr. Rebecca completed her Doctor of Chiropractic degree in 2005 at Northwestern Health Sciences University in Bloomington, MN. She became certified in Animal Chiropractic (Certified Veterinary Spinal Manipulation Therapy or CVSMT) in February 2010 at Healing Oasis Wellness Center, Sturtevant, WI.